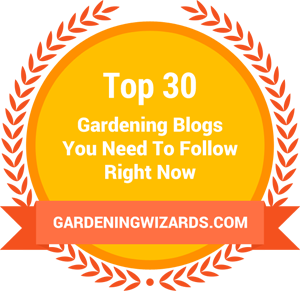 Originally inspired by Loree Bohl’s plant list on her blog Danger Garden, I created my own plant list a few years ago (it can be accessed from the Plant Lists link at the top of each page of this blog). The goal was to include a majority of the plants in my garden, broken down by genus. My agave list has 61 entries. Of these, 4 are plants that have died. That means 57 agaves are still alive. 17 are planted in the ground. If you had asked me yesterday how many agaves I had, I probably would had answered, “about 30.” Granted, many of them are small so it’s easy to lose count, but I’m still amazed that I have so many of them. If our property were larger, I’d be able to create more mounded succulent beds and plant out many of the species that are now confined to pots. Fortunately, most agaves don’t mind living in containers. The confined space has a bonsai effect, i.e. their growth habit is artificially restricted, but this doesn’t have a negative effect on their aesthetics. And while I need another agave like I need a sharp stick in the eye, I will continue to look for interesting new cultivars that might become available. Here is one I’ve had my eye on for a while: Agave victoriae-reginae ‘White Rhino’. It’s not widely available yet, hence super expensive, but eventually I will find one at a price I can afford. I totally understand, I still can't quite wrap my head around the idea that I have THAT MANY agaves.